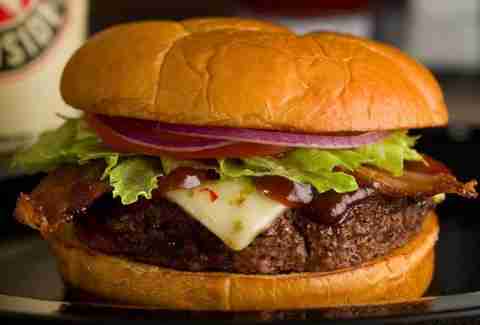 No matter how full of big burger chains our country may be, we always seem to make room for one more. In past years we've seen empires like Five Guys and In-N-Out flex their regional muscles until they burst into the mainstream, and it's only a matter of time before there's a new name on the tip of everyone's tongues. Here are 12 burgeoning burger operations whose savory local successes make them strong candidates for the national stage, ranging from mom & pop operations seemingly content with ruling their regions to ambitious concepts that have already made footholds abroad. 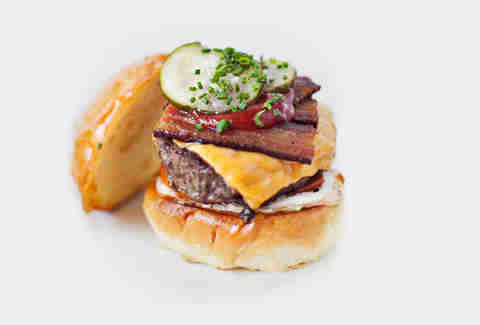 What they do: Upscale organic beef burgers, as designed by Top Chef winner Richard Blais. Bonus points for tongue-twisting toppings like pomegranate ketchup, pickled shallots, and tempura-fried lemon. Why they might blow up: Atlanta food writers have cited FLIP as igniting a local burger war, and with battles come larger gains in territory. 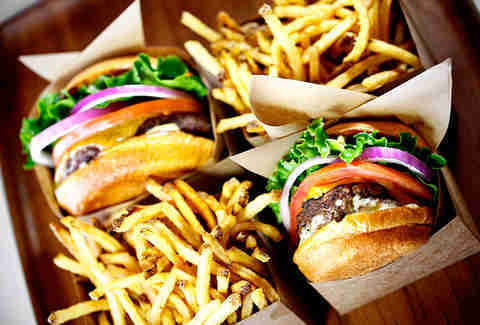 Despite an upscale vibe, they manage to keep most burgers under 10 bucks. And of course, it doesn't hurt to have a Top Chef on board. What they do: Old-school charm with new-school beef at a pocket change price point, served by employees who are well compensated and generally happy to see you. 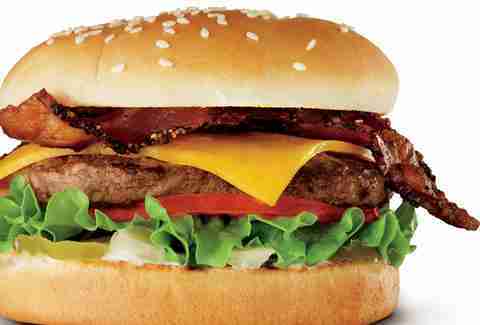 Why they might blow up: It's hard to deny a $2.25 cheeseburger that's this good. What they do: Build modern marvels like the Parmesan crisp and shiitake mushroom-topped signature offering and next-level gluttony like the Manly Burger (beer-cheddar, smoked-salt onion strings, and bacon lardon). Why they might blow up: They've taken both coasts by storm with their no-holds-barred creations. It's only a matter of time before Middle America warms up to the fifth taste. 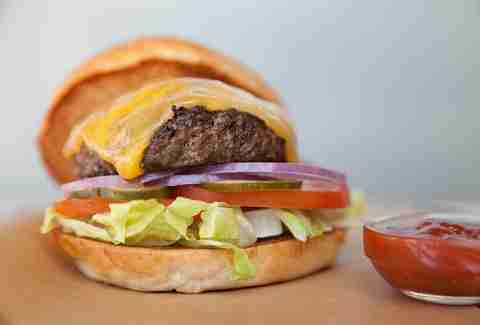 What they do: A chef-driven burger in a fast-casual setting. 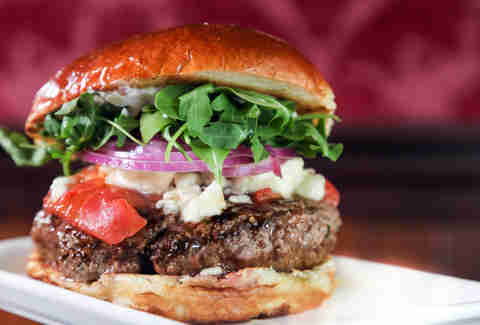 The Larkburger was born at an upscale Vail restaurant by a Wolfgang Puck-trained chef. Its popularity quickly demanded a spin-off chain of its own. They're known for fresh brioche buns, a lemon Dijon house sauce, and an occasional sprinkle of truffle. Why they might blow up: Noodles & Co. and Chipotle have proven that Colorado's a good place to start a chain, and Larkburger's local following is so loyal that they held a contest to fly Colorado expats back into town for a bite. Bonus green points for buying wind power credits to offset energy usage. What they do: Take burgers beyond the basics. Meatheads locations have toppings on the brain, piling their Angus with everything from pineapple to giardiniera. 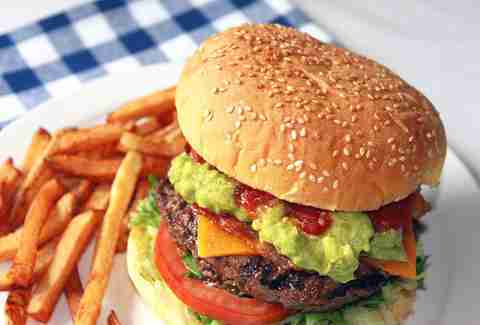 Add in fries that take 32 steps to make and you've got a meal that tastes like a special occasion. Why they might blow up: They've got a strong foothold in the Chicago suburbs, and, although their toppings aren't totally off-the-wall, they've got a few secret weapons that might endear them to the rest of the country. 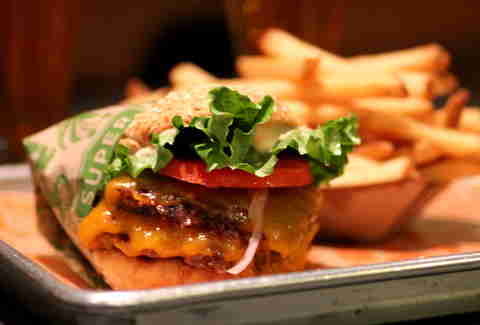 What they do: Super Duper keeps it simple but succulent under the banner of "fast food burgers, slow food values". The meat is all Niman Ranch, their mini size is bigger than most places' large, and despite a short list of toppings, they score points for avocado, blue cheese, and housemade pickles. Why they might blow up: They're in the right town to score a huge investor. What they do: Sustainable sustenance with a focus on local ingredients. 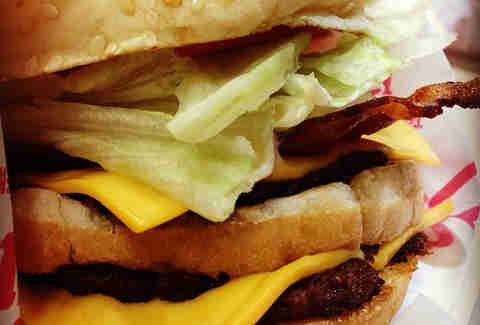 Burgerville has canvased WA and OR with eateries slinging Pepper Bacon cheeseburgers topped with Tillamook, as well as seldom seen sides like tempura-fried asparagus. Like Larkburger, they use 100% wind power, and also convert their oil to biodiesel. Why they might blow up: Burgerville's one of the oldest and biggest chains on our list, but word on the street is that they'll soon be ramping up their slow-burn expansion and jumping into other states. 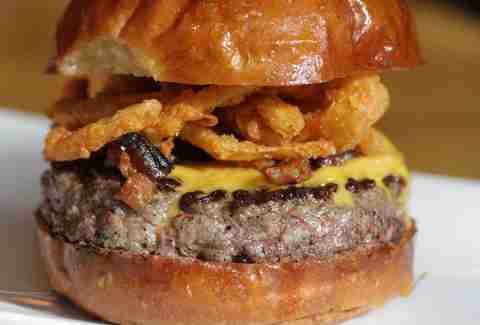 What they do: One of the 33 best burgers in the country, that's what. 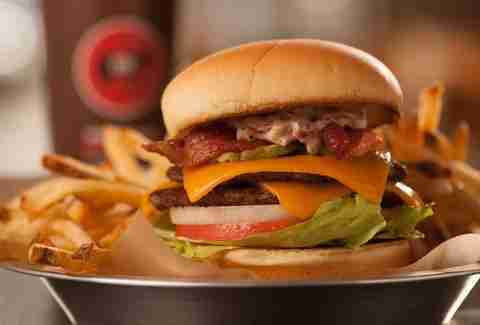 Their beefy double cheeseburger made our list, but the rest of the menu isn't anything to scoff at. 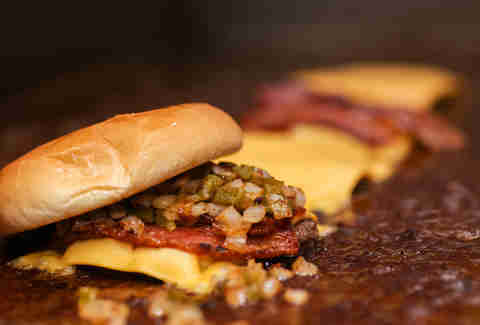 Olive burgers and spicy halopeño burgers make this hidden gem worth seeking out. Why they might blow up: If this old-school legend were ever to expand, no doubt their olive burger would be on the tips of everyone's tongues. What they do: Bangin' beef with a side of exotic meats. Bare started in an underground Brooklyn music venue and catapulted into the mouths of decidedly less-hip New Yorkers thanks to an emphasis on gluttonous toppings like buttermilk ranch and bacon marmalade, as well as head-scratching/mouth-watering proteins like elk and ostrich. Why they might blow up: Despite a dangerously high price point, Bareburger has already moved beyond the boroughs into New Jersey, Connecticut, and Ohio, with new stores planned in five states and two countries. What they do: Quadruple-patty burgers on toasted Martin's Potato Rolls, with 'Merica-celebrating sides like mac & cheese and wings. Why they might blow up: They've slowly snuck down the coast into the Carolinas. Serious expansion is imminent after a recent acquisition by the company that owns Hooters. 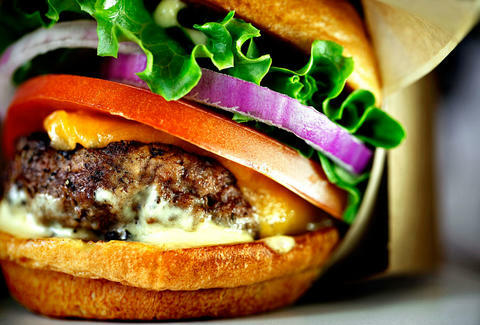 What they do: The best burgers in Houston as crowned by just about every publication in town. Becks restaurants don't even have freezers or microwaves, so you know the goods are great. Why they might blow up: They're already creeping into Dallas, and their ancillary offerings, like mesquite-grilled tenderloin sandwiches, put them in a different league than most simple patty-slingers. What they do: Adult milkshakes, local draft beers, and hormone/antibiotic-free beef topped with sunny-side up eggs and less conventional sauces like a sun-dried tomato vinaigrette. Bonus points for their bison burgers and free unlimited toppings policy. Why they might blow up: They've already sprouted up in nine states and several international destinations, and their legitimate dedication to a totally custom burger experience is unparalleled by most other chains. Dan Gentile is a staff writer on Thrillist's national food and drink team. He hopes that burger lovers everywhere might someday experience the P. Scary. Follow him off the menu at @Dannosphere.